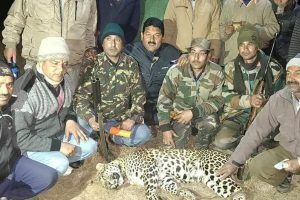 The operation began on Wednesday with the Rudraprayag police rescuing 15 tourists. 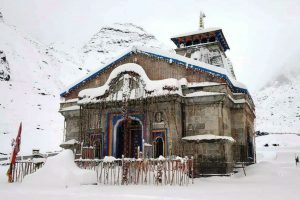 The temperature at Kedarnath has dipped to minus 13 degree Celsius, the coldest of the season. 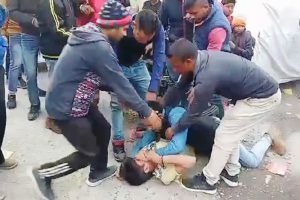 One person, later identified as Constable Harish, started the clash by slapping the victim over petty reasons, as reported. 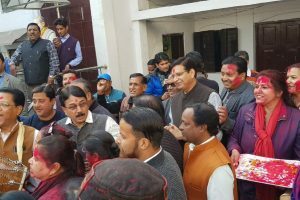 Sophisticated and fully computerized, the hospital will have all the facilities for the diagnosis with MRI, CT scan, X-ray, blood bank, blood sample, blood donation etc. 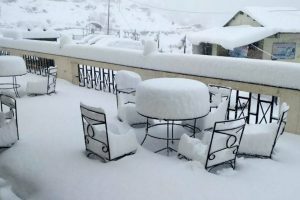 According to Census 2011 data, Baman Gaon has 42 houses and 183 residents, 80 of them male and 103 female. At present, however, there is only one family residing in the hill village. 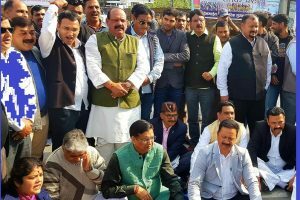 The BJP party members burned an effigy of Congress president Rahul Gandhi and chanted slogans for what they said was Congress’ attempt to ‘mislead’ the public over the Rafale issue. 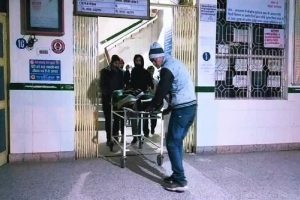 The incident occurred when the girl was returning on her scooter after examination from college in Pauri on Sunday evening. 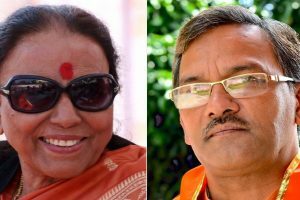 After facing a humiliating defeat in the state assembly elections last year and loss in the recently concluded local body elections, many were expecting the Congress to unite for fighting a strong BJP in the forthcoming polls. 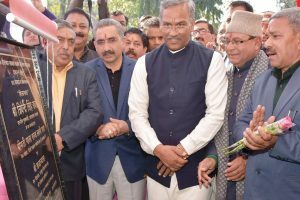 The Congress attack comes after the failure of Trivendra Rawat government to get the Lokayukta Bill implemented in the hill state. 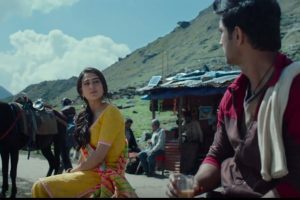 Owing to protests from different groups, the screening of Kedarnath has been banned in seven districts of Uttarakhand. 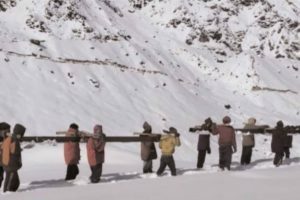 In the remaining six districts not a single cinema hall operates. 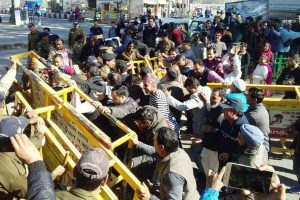 Though the MLA provided his card but the security staff were unwilling to allow the entry of his supporters. This annoyed Mehra and he made it a big issue out of it. 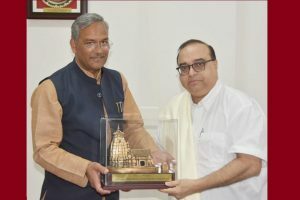 Rajkumar Santoshi met Uttarakhand Chief Minister Trivendra Singh Rawat in Dehradun on Tuesday and offered to open a film studio in Dehradun or adjoining areas. 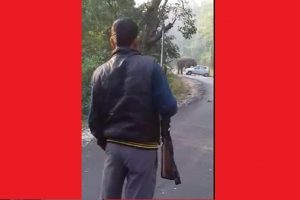 A forest staff on duty fired a few rounds from his gun to drive the elephant away from the highway. 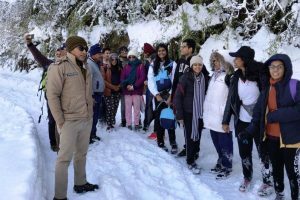 By that time the angry elephant had damaged the car and took away jaggery, bananas, and other edibles which were to be distributed among students. 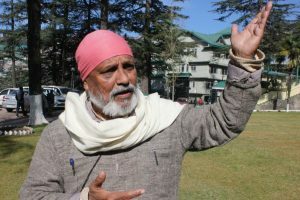 Says it is high time the Himalayan states got together to voice their environmental significance and concerns strongly.